We first heard of peel-off makeup in the one place a lot of beauty trends blow up these days: Instagram. We spotted several beauty-obsessed girls posting mini demos and reviews on how these gooey gel-looking products dry up then leave areas of the face tinted. Instructions say to apply a layer on your lips, leave it on for 20 minutes, and then peel it off. It’s supposed to give your pout a pretty stain that will stay all day long. It sounds doable—if you have those 20 minutes to spare to allow the product to dry up, that is. This particular product isn’t readily available in the Philippines, but several online stores carry them. 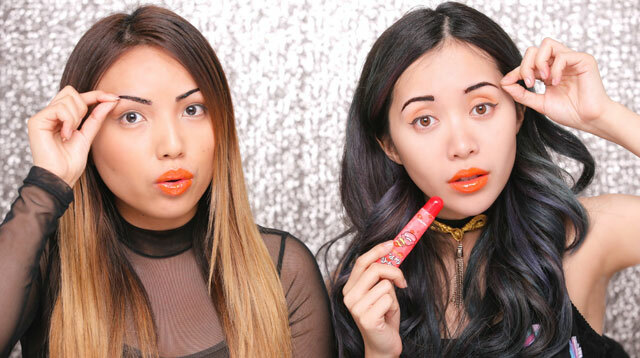 According to Teen Vogue, however, you should be careful when trying peel-off lipstick, because it can actually damage your puckers, especially if it's not in top shape. In fact, they even reported that this lip product isn't that popular in Korea, because it hurts the lips. We also discovered this same technology is being done to the brows. Etude House’s Tint My Brows Gel (P528, available in all branches) is one of the newest way girls can tint and bulk up their brows easily. You apply the tint on your brows, let it dry, and then peel it off. It shouldn’t sting, hurt, or pull out any of your hair. Have you tried peel-off makeup? We’d love to know what you think!